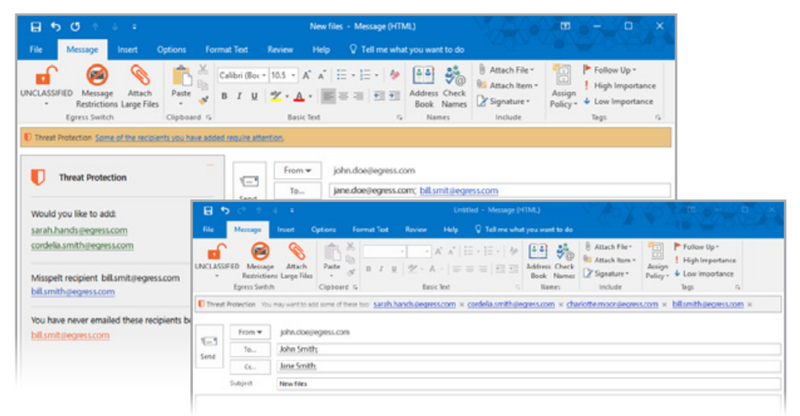 Egress stops misaddressed email sending. Large organizations who need robust data loss protection and protection from misaddressed email sending. What is Egress Threat Protection? Egress Switch Threat Protection is a security platform for businesses that aims to prevent misaddressed email sending and protect business against data loss. It’s a platform that promises to ‘contain the insider threat’ by which it means that it will stop data being sent to the wrong people by mistake and stop data leaks before they happen. The system is based on machine learning systems that learn the communication patterns within an organization. They use this information to alter employees when they have CC’d the wrong recipients in an email. This can be an easy way to stop the accidental leakage of data. This platform works within all existing email clients as an extra layer of security alongside an email gateway. 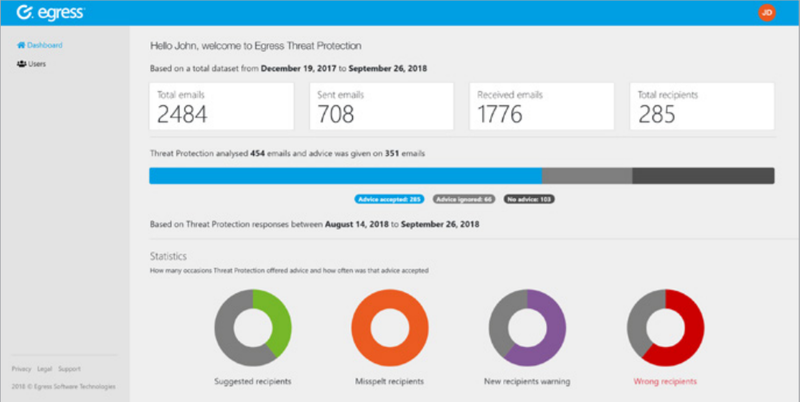 Egress Threat Protection is a strong tool for businesses to stop employees sending emails to the wrong people and, in doing so, put sensitive data at risk. The platform is based on self-learning machine learning systems which sit within the email network. It analyses conversation histories to build a knowledge of who a user emails based on historical information. It uses this to alert users when they think they have accidentally addressed an email to the wrong person and suggest contacts they should send it to instead. This can be useful to stop confidential data leaking and meet legal compliance. It’s easy to deploy, and works within existing email clients. For end users, the only change is a message that will pop up, telling them that they may have made a mistake. The platform also offers businesses reporting which shows how accurately the platform is working. This platform is expensive and so it suited to larger organisations looking to take steps to secure their data. It’s important to note that this is part of a stack of email security features offered by Egress and so on it’s own will not provide any protection from email threats such as spam or phishing attacks. 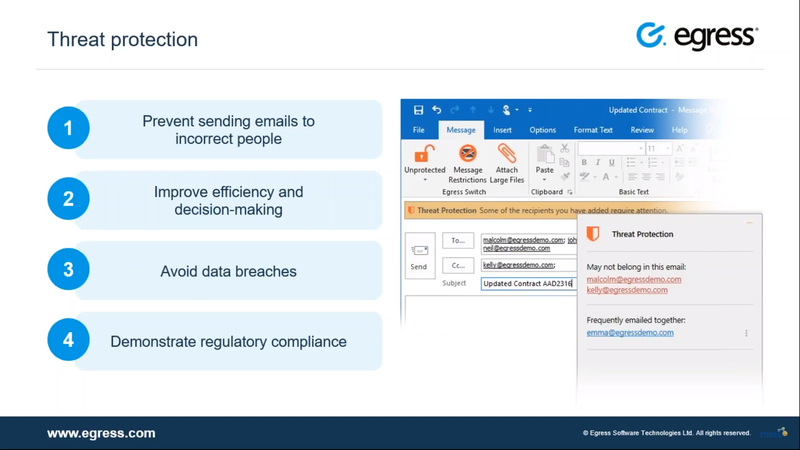 However, Egress does offer a strong platform to help employees protect themselves from making small email mistakes that could put data at risk. Enterprise customers looking purely for misaddressed email protection should consider this platform.